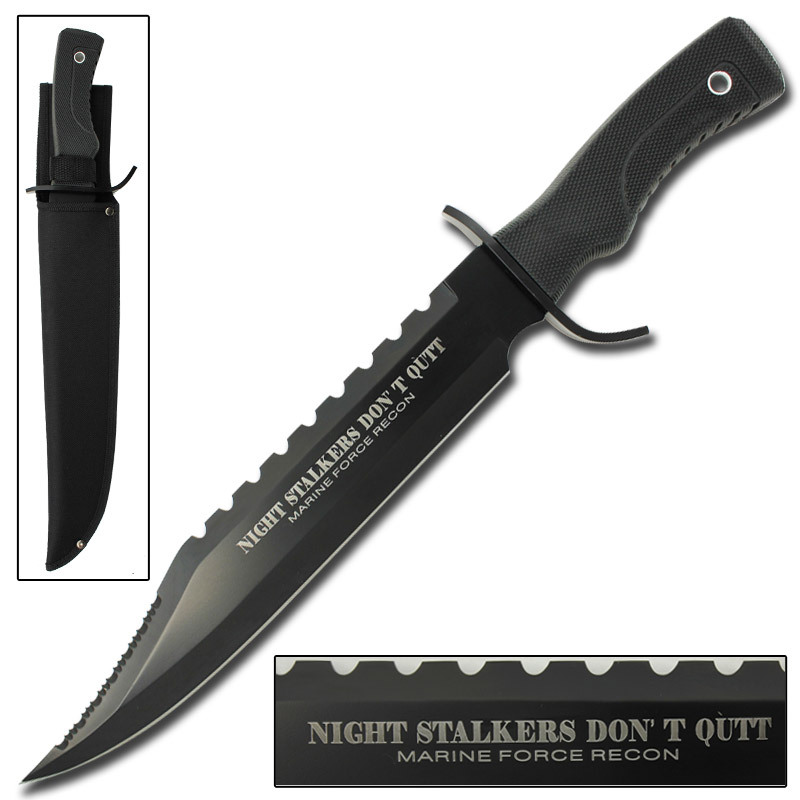 "Night Stalkers Don't Quit" is the motto for an elite Special forces unit and backed up by a knife like this that motto is true to its word. 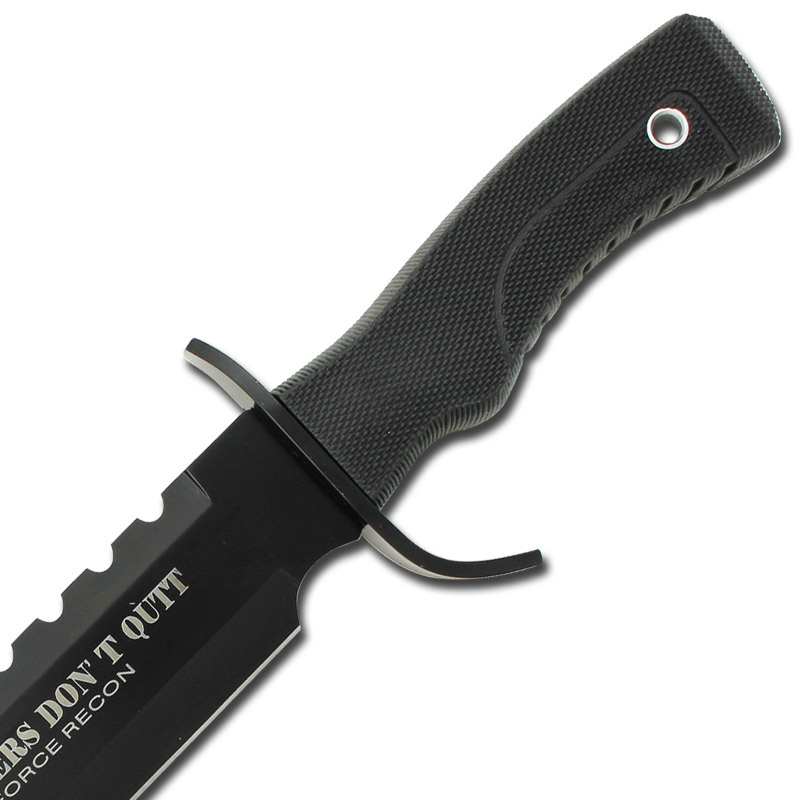 With its 12.2 inch stainless steel blade sharpened to a super razors edge, this big Bowie is built to keep you alive in the most dire of circumstances. 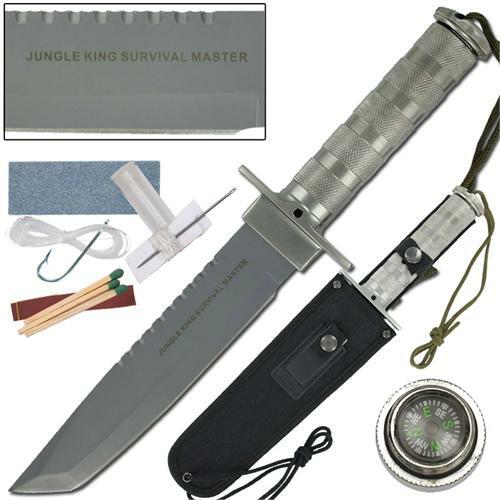 Your best chances at survival are mostly linear to your knife and that grey matter between your ears as it can be used as a knife, hatchet, saw, spear, and much more. The massive handle provides ample grip with the fine diamond texture on the large rubber body. 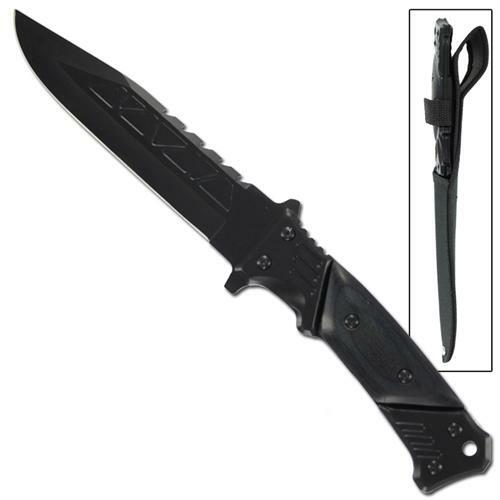 Keep your hands safely away from the razor sharp blade utilizing the large S-Shaped hand guard made of black anodize 440 stainless steel. 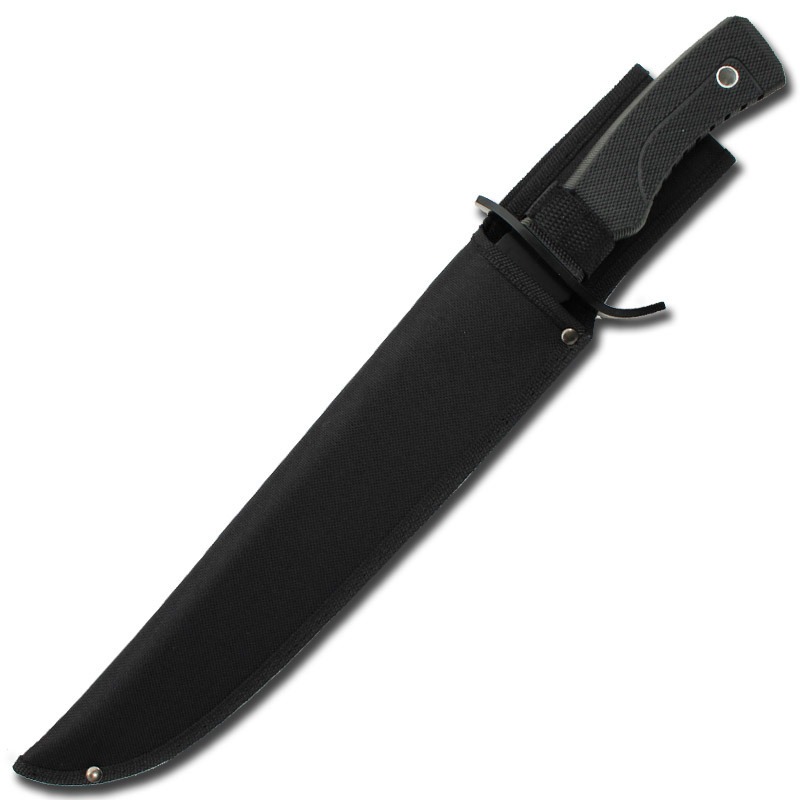 The massive barracuda shape blade also features an all-black anodize finish with serration. 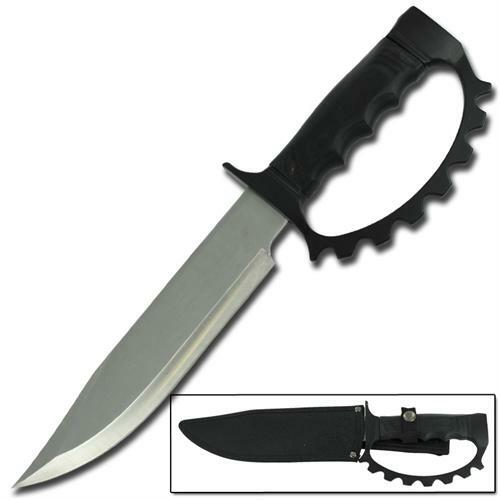 Included FREE with this knife is a thick nylon sheath with belt loop. The sheath features double fold stitching and steel rivets holding it together. 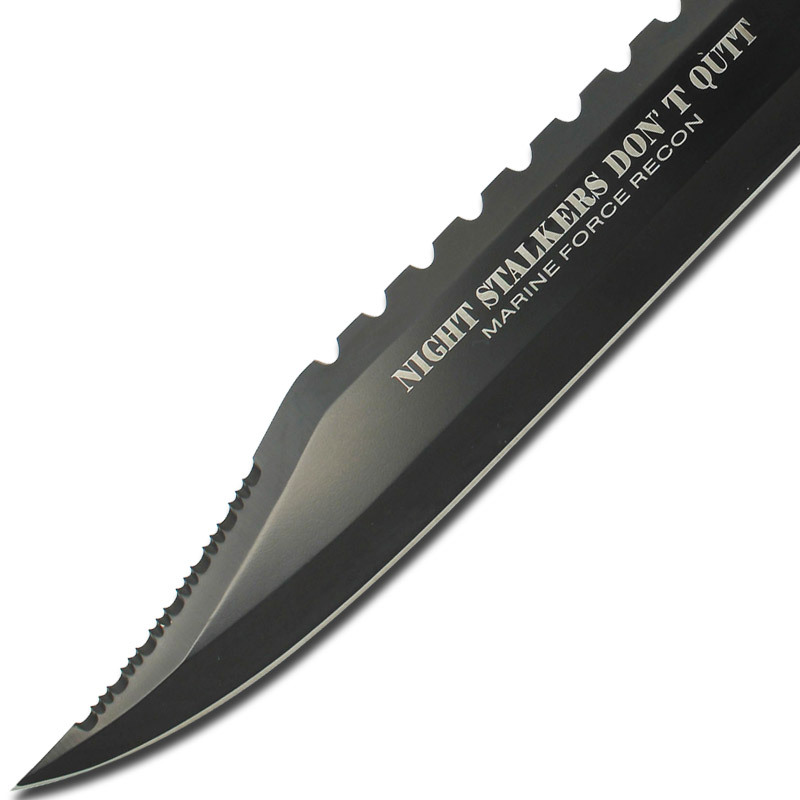 Stiff nylon is a great way to keep the blade attached to your belt or pack with peace of mind.